From the awe-inspiring Abbey Chapel to the lush Pageant Green, there are multiple options and configurations that can be customized for your special day. Abbey Chapel is located in the heart of Mount Holyoke College’s picturesque campus. The historic chapel can hold 900 guests and features both a nineteenth-century Skinner organ and a Fisk Tracker organ. Its architectural beauty lends itself to commemorative and spiritual events. 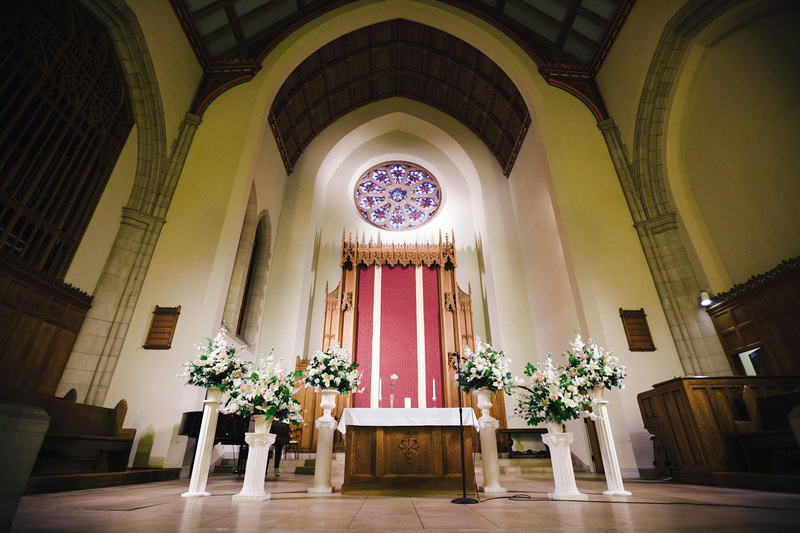 Adjacent to the Abbey Chapel is the Interfaith Sanctuary which can be used for small ceremonies with up to 60 guests. Inquire with the Conference Services department to reserve your date and time. It is the responsibility of the wedding couple to arrange for their own officiant to oversee the wedding ceremony. For couples wishing to be married in the Catholic faith, special permission must be granted to marry outside of their residential parish. 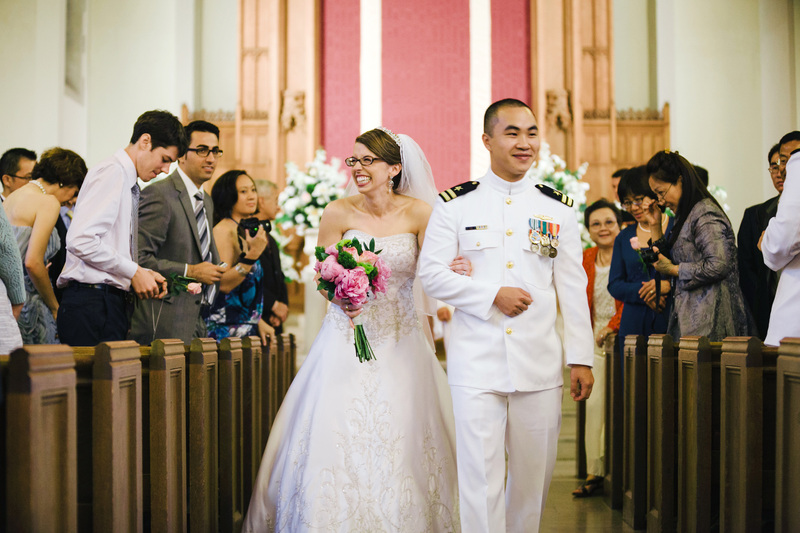 The Bishop of the Springfield Diocese can only give permission for marriage at Mount Holyoke College’s Abbey Chapel to the Catholic wedding couples with a connection to Mount Holyoke College. Such a connection would be: MHC faculty, staff, student, alumnae or their immediate families. $525.00- MHC Community: Faculty, Staff, Students, Alumnae and their immediate family ( i.e., mother, father, daughter, son, sister, or brother). The Willits-Hallowell Center is an ideal campus location with two dining rooms that have floor-to-ceiling windows and overlook Stony Brook. Receptions for up to 175 can be hosted, and your out-of-town guests can relax knowing that their hotel room is in the same building. The convenience of having your ceremony, reception and hotel space in one location allows for more quality time together and less traveling. Willits-Hallowell Center is also available to host rehearsal dinners and after-wedding brunches to make it a weekend affair with friends and family. Chapin Auditorium is another location on campus that is available for wedding receptions. This space can comfortably hold up to 270 with a dance floor. Chapin is available during College breaks and summer recess. Food and beverage is provided by the Willits-Hallowell Center catering team. If you are considering an outdoor ceremony and reception, the event coordinators in the Conference Office would be happy to talk with you to explore the options that are available. The Conference and Event Services department delivers optimum customer service as befits the reputation of such a prestigious institution. 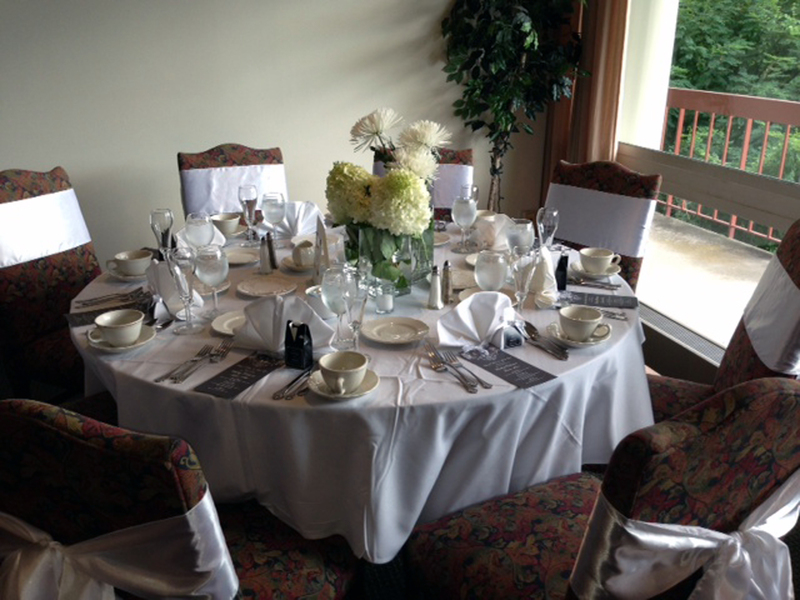 Wedding packages include the coordination, catering, linens, centerpieces and a full liquor license. For more information complete the form on this page, email weddings@mtholyoke.edu or call 413-538-2217.